Sen. Tom Cotton (R-AR) is a leading proponent of aggressive U.S. foreign policies whose views often combine right-wing Republican populism and neoconservativism.Observers have highlighted the financial backing he has received from influential “pro-Israel” megadonors and his close association with hawkish ideological factions. It was widely expected that when Trump fired Secretary of State Rex Tillerson that Cotton would be nominated to take the place of Tillerson’s anticipated successor, Mike Pompeoas director of the Central Intelligence Agency (CIA). But when Pompeo was nominated to replace Tillerson, it was Gina Haspell, rather than Cotton, who was tapped to replace him. Cotton has been at the forefront of opposition to the Iran nuclear deal. In October 2017, he told the Council on Foreign Relations, “The sensible course, then, is to decline to certify the deal, begin the work of strengthening it and counteracting Iranian aggression, with the threat of sanctions and military action if necessary.” Shortly thereafter, President Trump did decline to certify Iranian compliance with the deal, even though no evidence had been presented, by the United States or any other party, to indicate non-compliance. Cotton then outlined the course of action he wished to pursue. In so doing, he unintentionally highlighted the main objection supporters of the deal had to the various attempts to “fix the deal”—namely that these attempts all excluded Iran from any negotiations and failed to address how Iran was to be convinced to agree to new terms that were less than what existed under the 2015 deal. From the beginning, Cotton was among the more ardent opponents of negotiations with Iran. In the years leading up to the July 2015 agreement, he made various attempts to derail diplomacy and increase pressure on Tehran. In 2013, for example, he attempted to add an amendment to an Iran sanctions bill that would have “automatically” punished family members of individuals who violate Iran sanctions with sentences of up to 20 years in prison. Referring to their crimes as “corruption of the blood,” Cotton included in the family category “parents, children, aunts, uncles, nephews, nieces, grandparents, great grandparents, grandkids, great grandkids.”After the amendment drew objections from members of the Foreign Affairs Committee, Cotton withdrew it. In December 2014, Cotton said during a panel discussion at the Foreign Policy Initiative that the United States should sell Israel the advanced aircraft and bombs it needs to be able to effectively attack Iran. Cotton was the architect of a controversial March 2015 open letter to Iran that was signed by 47 Senate Republicans. The letter, which purported to explain to Iran’s leaders that any nuclear agreement with the United States would not last past the Obama administration, spurred widespread criticism and scorn. Cotton candidly stated that his aim was to sabotage the nuclear negotiations with Iran and prevent an agreement from being reached. Speaking at the right-wing Heritage Foundationin January 2015, he said: “But, the end of these negotiations isn’t an unintended consequence of Congressional action, it is very much an intended consequence.” Cotton has also called for working towards the installment of “a pro-Western regime” in Iran. Despite the historic breakthrough in negotiations, Cotton reiterated his claim that military force can be used to effectively destroy Iran’s nuclear program. “You can destroy facilities. I don’t think any military expert in the United States or elsewhere would say the U.S. military is not capable to setting Iran’s nuclear facilities back to day zero,” he said in an interview with Israeli reporters. A military veteran who served in Iraq and Afghanistan and a graduate of Harvard Law School, Cotton first gained public attention after writing a letter in 2006 calling for two New York Times journalists to be prosecuted for writing a story about government tracking of terrorism financing. “By the time we return home, maybe you will be in your rightful place: not at the Pulitzer announcements, but behind bars,” Cotton said in the letter. In 2014, Kristol’s Emergency Committee for Israelsupported Cotton’s Senate run with a million-dollar contribution in the form of supportive political advertising. Other hardline “pro-Israel” figures—like casino-mogul Sheldon Adelson, hedge-fund billionaire Paul Singer, and former Mitt Romneyforeign policy adviser Dan Senor—also supported Cotton’s successful Senate bid. According to the article, Paul Singer donated $250,000 to an “independent expenditure group” that supported Cotton during his 2014 run for Senate. “Pro-Israel” billionaire hedge fund investor Seth Klarmanalso contributed $100,000 to Cotton’s campaign. The Times article also reported that John Bolton’s political action committee—which is partly financed by “pro-Israel” donors—spent over $825,000 to support Cotton’s bid for Senate.In total, Cotton spent $13.9 million on his campaign. Ali Gharib, “Meet Tom Cotton, the Senator Behind the Republicans’ Letter to Iran,” The Nation, March 10, 2015, http://www.thenation.com/blog/200993/meet-tom-cotton-senator-behind-republicans-letter-iran. Zach Carter, “Tom Cotton ‘Corruption Of Blood’ Bill Would Convict Family Members Of Iran Sanctions Violators,” The Huffington Post, May 22, 2013, http://www.huffingtonpost.com/2013/05/22/tom-cotton-corruption-of-blood_n_3322251.html. Laura Clawson, “Newspapers across the country condemn Republican open letter to Iran,” Daily Kos, March 11, 2015, http://www.dailykos.com/story/2015/03/11/1370145/-Newspapers-across-the-country-condemn-Republican-open-letter-to-Iran. Paul Pillar, “The Damage to U.S. Interests Abroad of Domestic Political Intemperance,” LobeLog, March 12, 2015, http://www.lobelog.com/the-damage-to-u-s-interests-abroad-of-domestic-political-intemperance/. Nicole Flatow, “Tom Cotton Seems Confused About The Basic Geography Of Iran,” ThinkProgress, March 15, 2015, http://thinkprogress.org/world/2015/03/15/3633912/tom-cotton-alarmed-capital-iran-controlled-iran/. Glenn Kessler, “Tom Cotton’s four-day war against Iran,” The Washington Post, April 9, 2015, http://www.thenation.com/blog/203833/tom-cotton-iran-war-will-be-cakewalk. Ali Gharib, “Tom Cotton: The Iran War Will Be a Cakewalk,” The Nation, April 8, 2015, http://www.thenation.com/blog/203833/tom-cotton-iran-war-will-be-cakewalk. Paige Lavender, “Tom Cotton: John Kerry ‘Acted Like Pontius Pilate’ During Iran Nuclear Talks,” The Huffington Post, July 23, 2015, http://www.lobelog.com/tom-cotton-assails-iran-deal-again/. Derek Davison, “Tom Cotton Assails Iran Deal (Again),” LobeLog, July 30, 2015, http://www.lobelog.com/tom-cotton-assails-iran-deal-again/. Greg Sargent, “Tom Cotton: We can bomb Iran’s nuke program back to ‘day zero,’” The Washington Post, August 5, 2015, https://www.washingtonpost.com/blogs/plum-line/wp/2015/08/05/tom-cotton-we-can-bomb-irans-nukes-back-to-day-zero/. Raphael Ahren, “Battle against Iran deal far from over, US senator vows in Israel,” The Times of Israel, September 1, 2015, http://www.timesofisrael.com/battle-against-iran-deal-far-from-over-us-senator-vows-in-israel/. Julian Hattem, “Sen. Cotton meets Netanyahu in Israel,” The Hill, August 31, 2015, http://thehill.com/policy/national-security/252356-cotton-meets-with-netanyahu-in-israel. 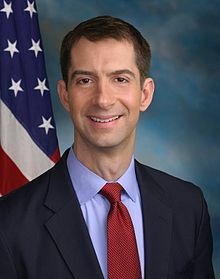 Andrew DeMillo, “Tom Cotton: Iran Agreement Could Spark Second ‘Nuclear Age,’” Arkansas Business, August 26, 2015, http://www.arkansasbusiness.com/article/106742/tom-cotton-iran-agreement-could-spark-second-nuclear-age. Heather Digby Parton, “’Sarah Palin with a Harvard degree’: Why new senator Tom Cotton is so frightening,” Salon, February 12, 2015, http://www.salon.com/2015/02/12/sarah_palin_with_a_harvard_degree_why_new_senator_tom_cotton_is_so_frightening/. Jim Lobe, “OMG ! 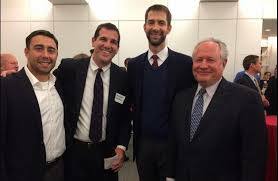 Cotton is Kristol’s Protege,” Lobelog, March 11, 2015, http://www.lobelog.com/omg-cotton-is-kristols-protege/. Lee Fang, “Immediately After Launching Effort To Scuttle Iran Deal, Senator Tom Cotton To Meet With Defense Contractors,” The Intercept, March 9, 2015, https://firstlook.org/theintercept/2015/03/09/upon-launching-effort-scuttle-iran-deal-senator-tom-cotton-meets-defense-contractors/. Molly Ball, “The Making of a Conservative Superstar,” The Atlantic, September 17 2014,http://www.theatlantic.com/features/archive/2014/09/the-making-of-a-conservative-superstar/380307/. Eli Clifton and Jim Lobe, “GOP’s Man of the Moment Promoted by RJC’s Singer and Adelson,” LobeLog, March 10, 2015,http://www.lobelog.com/gops-man-of-the-moment-promoted-by-rjcs-singer-and-adelson/. Ali Gharib, “Meet Tom Cotton, the Senator Behind the Republicans’ Letter to Iran,” The Nation, March 10, 2015,http://www.thenation.com/blog/200993/meet-tom-cotton-senator-behind-republicans-letter-iran. Laura Clawson, “Newspapers across the country condemn Republican open letter to Iran,” Daily Kos, March 11, 2015,http://www.dailykos.com/story/2015/03/11/1370145/-Newspapers-across-the-country-condemn-Republican-open-letter-to-Iran. Paul Pillar, “The Damage to U.S. Interests Abroad of Domestic Political Intemperance,” LobeLog, March 12, 2015,http://www.lobelog.com/the-damage-to-u-s-interests-abroad-of-domestic-political-intemperance/. Nicole Flatow, “Tom Cotton Seems Confused About The Basic Geography Of Iran,” ThinkProgress, March 15, 2015,http://thinkprogress.org/world/2015/03/15/3633912/tom-cotton-alarmed-capital-iran-controlled-iran/. Glenn Kessler, “Tom Cotton’s four-day war against Iran,” The Washington Post, April 9, 2015,http://www.thenation.com/blog/203833/tom-cotton-iran-war-will-be-cakewalk. Ali Gharib, “Tom Cotton: The Iran War Will Be a Cakewalk,” The Nation, April 8, 2015,http://www.thenation.com/blog/203833/tom-cotton-iran-war-will-be-cakewalk. Greg Sargent, “Tom Cotton: We can bomb Iran’s nuke program back to ‘day zero,’” The Washington Post, August 5, 2015,https://www.washingtonpost.com/blogs/plum-line/wp/2015/08/05/tom-cotton-we-can-bomb-irans-nukes-back-to-day-zero/. Raphael Ahren, “Battle against Iran deal far from over, US senator vows in Israel,” The Times of Israel, September 1, 2015,http://www.timesofisrael.com/battle-against-iran-deal-far-from-over-us-senator-vows-in-israel/. Julian Hattem, “Sen. Cotton meets Netanyahu in Israel,” The Hill, August 31, 2015, http://thehill.com/policy/national-security/252356-cotton-meets-with-netanyahu-in-israel. Andrew DeMillo, “Tom Cotton: Iran Agreement Could Spark Second ‘Nuclear Age,’” Arkansas Business, August 26, 2015,http://www.arkansasbusiness.com/article/106742/tom-cotton-iran-agreement-could-spark-second-nuclear-age. Jennifer Rubin, “Tom Cotton: No ordinary freshman congressman,” The Washington Post, December 5, 2012,http://www.washingtonpost.com/blogs/right-turn/wp/2012/12/05/tom-cotton-no-ordinary-freshman-congressman/. Burgess Everett, “Cotton storms the Senate,” Politico, March 10, 2015, http://www.politico.com/story/2015/03/cotton-storms-the-senate-115960.html#ixzz3U2mryqc6.